The Ottawa Redblacks made a big splash on the first day of free agency. 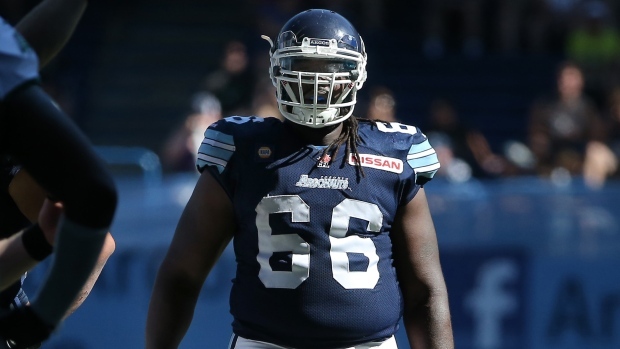 Reportedly flushed with cap space heading into their second season, the Redblacks spent, landing coveted offensive tackle SirVincent Rogers as well as three receivers in Internationals Ernest Jackson and Greg Ellingson, and National Brad Sinopoli. Rogers was one of the most coveted International offensive linemen on the market. Jackson, who had a breakout season in BC last year, recording 813 yards and three touchdowns, signed a two-year, $270,000 deal. Ellingson was injured for most of last season but was solid in his rookie year in 2013, finishing with 800 yards and six touchdowns in just 15 games playing with current Redblacks QB Henry Burris. Sinopoli played quarterback at the University of Ottawa before switching to receiver and collecting 54 receptions for 614 yards and two touchdowns with the Calgary Stampeders the past four seasons.